Raspberries & Chocolate Baby Gnome, originally uploaded by happyday.etsy.com. Seeing as how I’ve not been getting too much new work done due to my new found exhaustion, I’ve decided to post a few photos from my archives of long lost work. 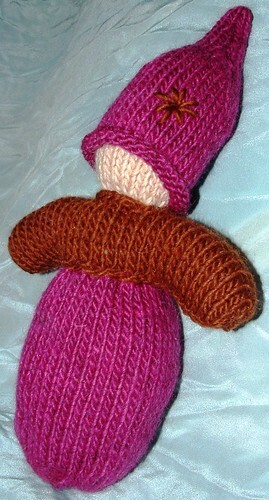 I made this sweet little gnome many years ago, and I am currently working on a pattern based off of this picture. I’ll keep y’all posted on the progress of the pattern as it comes along.